Medicines worth US$500 000 was on Tuesday recovered by the police from a warehouse in Waterfalls, Harare, with the Health ministry tags, raising suspicion that the drugs could have been stolen from a State warehouse. Three suspects, Clever Farayi, Tatenda Innocent Rutsate and Graeme Munikwa were arrested and yesterday appeared before magistrate Rumbidzai Mugwagwa. They were charged for unauthorised possession of drugs. The three were each granted $100 bail and remanded to April 24 pending trial. CID Drugs and Narcotics were tipped that TICC Pharmaceuticals was distributing cheap and low quality medicines, giving rise to suspicion that these were counterfeit, unregistered or stolen. Investigations were carried out by a team of detectives in the Prospect industrial area of Waterfalls. The investigators identified themselves and instructed Farayi and Rutsate to open the gate for routine inspections. But the two resisted and the team had to forcibly open the gate to gain entry. After they forced entry, the detectives asked for licences for the premises and were shown a wholesale dealer’s permit issued to Blessmore Madhanzi in respect of the building near the main gate at the complex. It is alleged the detectives inspected the whole complex and discovered a backyard warehouse which had several medicines locked inside. The detectives allegedly instructed Farayi and Rutsate to open the warehouse and they obliged. They entered the building where a huge consignment of drugs was discovered. Munikwa was also found packing medicines inside the warehouse. 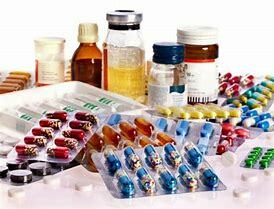 The trio, after failing to produce licences for storing the medicines, implicated one Teddy Chindedza. They also revealed that Madhanzi was only fronting for Chindedza. The detectives further discovered that Chindedza’s pharmacy licence was withdrawn by the Medicines Control Authority of Zimbabwe after breaching the conditions of licensing provisions.